Maybe your small business is doing well, but you just seem to be lacking something that will take it to the next level. Maybe a mentor can help you out. Imagine having an inside track to some of the greatest minds in business today, and the ability to ask them for some of their secrets to success. It may be easier than you think. Mentoring is a fantastic resource that can help change your life by providing you with the best business training and entrepreneurial education tools and building mutually beneficial sustainable relationships. Clay Clark launched the online mentoring website, Thrive15, with the goal that every entrepreneur and business person can have a business mentor in their pocket who is their own success story. Clay enthusiastically shares how he got some of the most influential and respected minds in business to share their stories and advice with him, and encourages you to do the same. Rich: Hey everybody! Today I’m here with Clay Clark, the founder of Thrive15.com, which offers online education for entrepreneurs taught by millionaires, mentors and everyday business success stories. 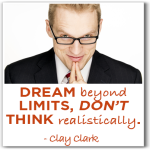 Clark was Oklahoma’s US Small Business Administration’s Entrepreneur of the Year, and has been the speaker and consultant of choice for Maytag University, O’Reilly Auto Parts, Hewlett-Packard and countless other small and large businesses around the globe. He’s the author of 4 books and is a business partner of NBA Hall of Fame basketball player, David Robinson. Clay, welcome to the show. Clay: Hey, I appreciate you for having me on here, my friend. Rich: So let me ask you, how did you get so passionate about mentoring? Clay: I grew up in a very financially challenged background and environment, I’m sure like a lot of your listeners. And when you feel stuck and you don’t know what to do or where to go, sometimes you go and get a degree or go to a seminar or you might get books, but sometimes you just need a mentor to kind of guide you along the way. Mentors have had a profound impact on my life and I’ve seen it change my life and my desire is to have mentors help as many people as possible get them from where they are to where they really want to be. Rich: Alright, so you talk a lot about the mentoring. Now there are a lot of people out there who offer business coaching services. Just quickly, what’s the difference between a mentor and a business coach? Clay: There’s a lot of great coaching services and those are usually a paid service where you’re paying somebody that’s exchanging their time for money that you’re paying them. And those people tend to be pretty pragmatic and focused on objectives, metrics, business systems, helping you build reputable processes, and they’re doing a good job if you get a good coach. A mentor, in my mind, is kind of the person that helps you balance faith, family, finances, how to be a good dad and a business owner. It’s someone who’s been up the mountain, someone who guides you and coaches you in more a way of “business meets life”, where typically a business coach just helps with business aspects. Rich: Ok, that helps me figure out the difference. Now Clay, who was your first mentor and how did you connect with that person? Clay: Well, one of my first mentors was a guy named Clifton Taulbert, he’s actually one of our mentors at Thrive15. His whole story was when he was 12 or 13 years old he was not allowed to go into banks because of the color of his skin, he’s an African American, and there was legal segregation at the time. Throughout his life he ended up defying the odds and launched the stairmaster product and his life got turned into this major motion picture called Once Upon A Time We Were Colored. So I wish I had a magic bullet,but I just continued to dial and smile. I proceeded to call him over and over and over and I kept getting denied and rejected and told “no”, and finally I got my chance to get a 10 minute meeting with the man. I came prepared and ended up just trying to offer value and services for him until I could show that I was worth investing time in. We became very close friends and now today he’s one of my business partners. Rich: That’s awesome. So if I understand what you’re saying is you didn’t just go to him with that in hand, you actually approached him with ideas that might actually help him? Clay: Yeah. What I did – and this is maybe a little bit interesting of a theory – I do this a lot, I’ve met George Foreman this way and David Green the guy who started Hobby Lobby. Literally what I’d do is call these folks over and over and over offering to pay for 5 or 10 minutes of their time. And usually if someone knows that you’re going to pay for their time they’ll usually give you 5 or 10 minutes, and a lot of times they won’t accept the money that you’re offering but they want to know you’re serious. So I go in there with that and I try to find a problem that they have that maybe I can solve whether it be search engine optimization or maybe it’s just doing some cleanup work around his office or willing to answer the phone or just work for free and kind of exchange my time and try to over deliver until I could show that I was worth him investing his time in. Rich: That’s pretty cool. Now you mentioned that he was one of your first mentors, so you’ve had others. Have you found a “secret key” to getting in front of mentors? Is there a best way to approach them? Clay: Yeah, there’s a book called The Ultimate Sales Machine – which I did not write but I’ve read numerous times, written by the late, bestselling author Chet Holme. In chapters 8 and 9 of that book he has a system he calls “The Dream 100”. What you’ll do is you’ll make a list of your mentors that are your dream 100 people that if you could pick anyone and ask them what you need to know that they could absolutely change your life. 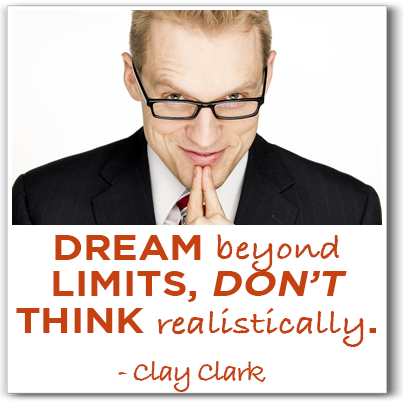 And you want to dream beyond limits, you don’t want to think realistically, you just want to put a big list there. And then I just consistently begin dialing and smiling and calling them all, and then eventually 5 out of those 100 I can usually get a meeting set up and I just offer to pay $500 or $1,000 to meet with them for 15 minutes or so. I’ve had a pretty good track record once I get that call. Rich: And how many times have you actually had to pay them, out of curiosity? Clay: I’d say about 4 or 5 times I’ve had to pay. Rich: That’s pretty cool, I’ll have to think about that. So let’s say that we’re a small business or an entrepreneur and this mentoring thing sounds good to us, how do we go about finding the mentor? Are we looking for a general mentor or are we looking for someone who might have skills in a specific area? Clay: I have this system that I call “goat + boom = pod”. So “goat” stands for “greatest of all time”, and “boom” stands for “big, overwhelming, optimistic, momentum” and “pod” stands for “possibilities, options and dreams”. And so what I do is I look for a “goat”, somebody who’s the greatest of all time in that area. So if I was listening to your program right now and I said, “Man, I really need help with developing my website.”, I would be thinking who has an amazing website and is the best web developer on the planet. And then I would begin to systematically reach out to those people, but with big, overwhelming, optimistic momentum. I mean, you want to call them with the expectation that you’re actually going to get to know these people. When you meet them, you want to be very specific about what is it that you want to learn from them. So when I reach out to a mentor I’m not just saying, “Hey Yoda, could you show me the force?” You’re going to ask these people specific questions. When I met with Clifton I asked him specifically, “How do I go about building a speaking career? So many people ask em to speak, but I don’t really have a system and a plan, how do I do that?” When you have specific questions, the mentor knows you’re serious and they’re going to invest that time needed to coach you through. I would say again, no matter where you’re at, think about where you’re stuck and who’s the greatest of all time in that area. Make a list and then bring that big, overwhelming, optimistic momentum to meet those people. Once you do, you’re going to open up a whole new world of possibilities, options and dreams. In my life, you wouldn’t believe how having a few, key venture capital partners has changed my life. Just a few people absolutely can unleash a world of opportunities for you. Rich: That’s very cool. So if I’m hearing what you’re saying, basically you’re identifying your own needs or shortcomings or opportunities – depending on how you look at it – and you’re going out and finding the greatest of all time. You’re making these phones calls and when you finally do get in, you’re actually coming to them both by trying to provide value for them as well as with some very specific question to show them that you’re not looking for some sort of handout, but rather that you’re somebody worth investing in. Clay: Absolutely, And I want to give you just one more little example. Chet Cadieux is the chairman and the president of QuikTrip gas stations, it’s a $1 billion valued company according to Forbes, and it’s a convenience store chain. I remember at the time I had a hard time managing my staff, I had close to 50 people working for me and I couldn’t figure out how to get people to be on time and get them to implement our workflows and our systems and how to get people to be accountable. So I went in specifically to a meeting with him to figure out how to set up an employee stock ownership program and how to set up a merit based pay system. And I went to him because I read case studies about that company and I knew that they had a system like the one I wanted to create. And so he was very impressed that I had a one sheet with about 45 specific questions in 12-point font ready to go for him. Rich: Alright, so be as specific as possible. Now let’s say on a certain level, what you’re doing is you’re cold calling these people. So keeping with that sales metaphor right now, I get in front of this “goat” and shown value and I’ve got very specific questions and they see me as somebody that might be worth spending some time. How do I close the deal? What is it that you say to a potential mentor that they, “Yes, let’s build a relationship here.”? Is it kind of a small start with a one-off? Sometimes when I used to own my DJ company – I used to have a mobile entertainment company – where we did almost 4,000 corporate and wedding events per year which is 80 per weekend. So I had all this sound and lights and video equipment and a lot of times I would say, “Hey, can I DJ for your next staff party for free?” or “Can I film a commercial or you for free?” or “Can I promote your book for you?” I’d ask what I could do to show that I really can genuinely help you solve a problem. Rich: That’s really a very interesting point, Clay. And the reason why I’m drawn to it is because one of the things that is going on in social media is we’re always told that you should be doing for other people as a way of building rapport or whatever. But what I see people doing – and this happens to me all the time – I’ll see people say, “What can I help you with?” And quite honestly, that sometimes feel disingenuous, to be honest. And sometimes it feels like , “Oh, so now this is on me to come up with some way for this person to help me.”, which of course just causes me more frustration and anxiety. Clay: One thing that you have to look at – with your listeners – they listen to your show from time to time and your nation grows because people know that you’re sincere, this is something you’re passionate about and you deliver. You bring it, you prepare and people know that you’re sincere. And that’s why your program is growing. I see a lot of these people – and we’re all guilty of it at some point – ask what they can do for you, but they’re not prepared when they respond and doesn’t come across that they’re passionate when they do talk to you and it just seems like they’re sending out some mass spam to the planet trying to get a moment of everyone’s time. So I would just say to make sure that you are sincere by showing that you’ve prepared, so when you have that opportunity and it intersects with your mission you’re going to have a massive explosion of success there. Rich: That’s very cool. To get back to a question that I started to ask before, kind of on the close element of it, I think I started to say how do we formalize relationships, and you gave me those 3 important things to bring to somebody. But do most of your mentorships start off with a grand plan or is it more like let’s go on a first date and see what it’s like and then we’ll see if something develops from there? Clay: At first I’m just trying to book an appointment and get in for 15 minutes to see if I can get them to answer some specific questions I have. And I’ll tell you straight up, I’m coming in with the precedent that I’m going to pay for their time. And sometimes they won’t accept the money, but a lot of times they will. But the thing is, they know I value their time enough that I’m willing to pay for it. When you’re a billionaire or a multi millionaire – in my career I’ve had some success and I’ve built some businesses – what happens is I’ve got 5 kids and I have these different businesses, but what I don’t have is more time. So I can make more money, but I can’t make more time. And the higher up the food chain you go, the less patience people have for you not being prepared. So I think about my younger self and I used to practice the dark art of jackassery where I would call over and over to set up a meeting with a mentor and I’d finally get the meeting and I wasn’t prepared. I didn’t get my notes ready, I didn’t have my research and I look back at myself and I want to punch myself. If I had a time transporter, I would go back in time and punch myself, Rich. Rich: So you would punch yourself rather than just coach yourself to be better? Clay: Yeah, sometimes you need a hit in the head, I think. Rich: Sometimes that’s true. One of the things you talk about a lot is the fact that you’ve been mentored by millionaires. Why millionaires, why is that important to you? Clay: I have a fitness trainer. I’m kind of going through a dark period in my fitness right now, I have 5 kids and we’re traveling a lot so right now I’m not in shape. But a couple years ago I was really getting after it. When I looked at my trainer, I wanted to know that that dude was jacked. He was fit and obsessed with muscle, he looked like he was a greek god. In my mind, I don’t want to be trained by somebody who’s not personally physically fit. So as you look for a mentor, you don’t’ want to have a personal trainer who’s having a problem with cupcakes, well you don’t want to have a financial mentor that might be going through his 13th bankruptcy while he’s mentoring you. Rich: Or a life coach that lives in a van down by the river. Clay: “Down by the river!” So I would say it’s super important that you look for someone who has fruit in their life and then trace that fruit up the tree and then down to the root. The root is where you’re going to find that mentor. But look for the fruit, look for someone having success and follow that fruit and look for what’s producing that fruit. Rich: Ok. Do you have any examples of how having a mentor can help you avoid disasters? Obviously entrepreneurs are dealing with risk all the time, how can I mitigate that risk, and is a mentor going to help me there? Clay: When we were building Thrive15.com one of my mentors, Dr. Robert Zoellner, and he’s a CEO of Thrive15 and and awesome guy, but he’s also the most successful optometrist in Oklahoma and he also owns the top auto auction in Oklahoma and Texas. He also owns one of the top chiropractic centers, he also owns one of the fastest growing banks, we can go on and on and on. He explained to me that when you’re building this – and this is a worldwide thing with people in countries all across the world on here – do not waste your time on x, y and z, focus all your energy on the most important things. And he kept focusing me on that. Do not waste your time here, focus here. And that’s what’s allowed it to grow so fast. But as an entrepreneur, we’re passionate about helping people. A lot of times I was getting distracted in the early startup phase on a couple areas where there was some nitty gritty details that really didn’t matter unless we secured that massive funding or it really didn’t matter unless we got our video and coder set up properly or it didn’t really matter unless we got our new API or search engine setup. There was a lot of things that had to happen before the next part happens. So it’s focusing, and Zoellner’s been awesome with that, and he’s helped me time and time again. 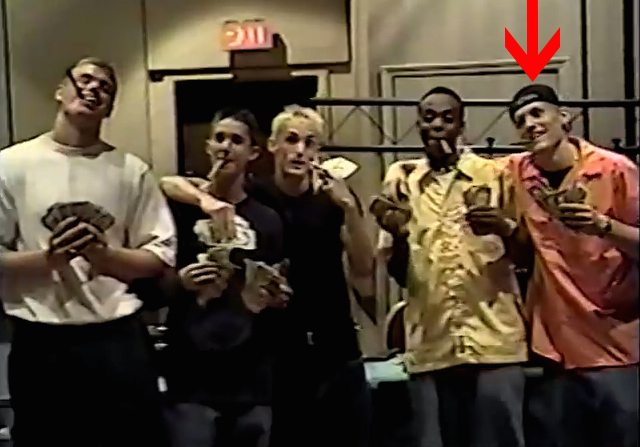 And then with my DJ entertainment company, Clifton pointed out to me that I used to dress like I was in the Wu-Tang Clan. Rich: I want to see some photos and we can post them up on the site. I grew up with a mindset where Eminem was one of my heroes and so I had no idea that my appearance was affecting my results. So Clifton honestly made me millions just by pointing out what was obvious to him that I needed to dress for the role that I wanted. I was not dressing for the role I wanted at that point in my life as a wedding entertainer. Rich: That’s some really good advice. So is there ever a time where you realize you’ve outgrown a mentor and it’s time to move on? Clay: All the time, this happens very consistently. I’ll tell you what you do though. There’s been 2 people – who’s name I shall not mention – who mentored me at one point in my career and really made a big impact. But at a certain point, they could no longer help me in that area because I had exceeded their skill level. Not in every area, but in that area. Clay: Early on I had a mentor that taught me about search engine optimization, and he was the best. As you know, technology changed and Google became the dominate search engine, algorithms updated, and he no longer stayed updated so that I was surpassing him. About 2 years ago he reached out to me to ask me to help him with learning the updated optimization strategies. So a lot of times someone gives to you and you give back. But the main thing you don’t want to do is get stuck. You always want to look for people that are better than you in any given area. When you feel stuck, reach out to them and see what you can learn from them, and then make sure you can give back. You always want to treat people better than you want to be treated. Rich: I think that’s great advice in terms of paying it back, and probably a good place to wrap things up. Let me ask you, I think a lot of people were probably inspired listening to today’s conversation. A lot of us feel stuck and we don’t know where to start, and hopefully we’ve provided them with some sort of structure or framework on how they can take things to the next level. Where can we learn more about you online? Clay: If you go to our website, Thrive15.com, it’s “thrive” because we’re helping people move from surviving to thriving , and it’s “15” because we have 15 mentors in online membership sharing their everyday success stories. I’ll leave you with this, Rich, we had one lady by the name of Kat who’s been implementing the mentorship in the factors she was struggling with, and she’s been on their learning diligently about 15-20 minutes a day. And we just discovered that she has almost tripled the size of her business in less than a 12 month period of time. It’s a bakery and she has just implemented the management strategies where she was stuck and those small, little changes have allowed her whole bakery to flourish. She has always had great cookies and product, but she just had to get the message out there. So being on top of Google and learning how to manage her staff has absolutely changed her life. Just small little steps and she’s paying out $50 a month, so it’s not like she’s spending thousands and thousands of dollars. Rich: That’s fantastic, that’s some great advice. I’m glad to hear that people have already found success. We’ll be sure to link to all that in the shownotes. Clay, once again, thank you very much for your time today. Clay: Hey, thank you so much for inspiring the people and bringing the knowledge that they don’t get in college week after week. I know your audience appreciates it and you’re an inspiration. Thank you again. Learn more about what Clay’s company, Thrive15, does, and how his panel of entrepreneurs and successful business experts can help mentor you. Check out Thrive15 on YouTube. Catch up on the latest Thive15 news with their online newsletter. In between watching SNL reruns and listening to Wu-Tang Clan, Rich can be found at flyte new media planning his next Agents of Change Digital Marketing Conference and preparing interviews for The Marketing Agents Podcast. Transcription for this podcast provided by Jennifer Scholz Transcription Services. This entry was posted in Entrepreneurship and tagged business mentor, business mentorship, clay clark, online mentoring, small business mentoring, thrive 15 by Rich Brooks. Bookmark the permalink.